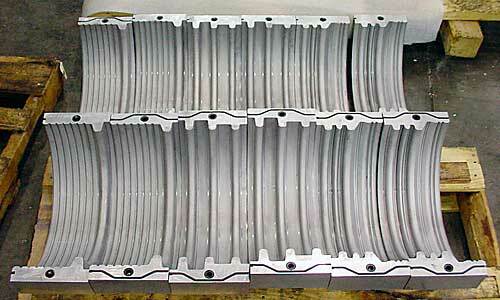 Because of our own in-house machining and designing, we have the ability to produce mold blocks for pipe of any size. With all the different variations of equipment being used today, we are probably the only company in the USA that can provide that service with molds of any size. We also have the resources for the raw materials needed. 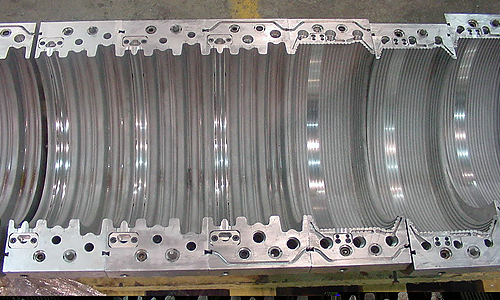 UPE works with many different foundries and plate suppliers to be able to provide 1 pair of molds or a complete chain. 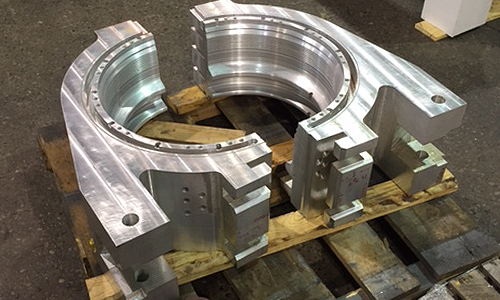 UPE’s experience machining large molds for many different industries makes it easy with our own large 5 axis machines that can make quick work of machining from billet any size part or shape up to 20 feet or larger.